The senior judges in their consultation response were pretty withering about this idea. 15. The test of standing in judicial review must be such as to vindicate the rule of law. Unlawful use of executive power should not persist because of the absence of an available challenger with a sufficient interest. The existing test of standing meets that requirement and we do not consider there to be a problem with it. The judges challenged the Government to substantiate its airy contentions in the consultation paper that there was a real problem with judicial review being used as a campaigning tool. Revealingly, the Government has not risen to that challenge. But we must be grateful that Grayling has climbed down on this one, but it is dispiriting that the headline-grabbing proposals were devised in the first place, on, it seems, no evidence at all. As I pointed out in my last post, the only examples the Government had come up with involved real abuses of power with considerable merit. For Grayling to propose these changes without bottoming out the problem he thought he was trying to solve does not bode well. You may have seen splashed over the papers MoJ’s proposal that planning and environmental challenges be dedicated to a fast-track court with specialist judges, in order to minimise delays to major infrastructure projects. You will look in vain for those changes in the Bill. As the judges drily point out, the Administrative Court is already doing this, so no legislative change is needed. Grayling’s original proposal had been to transfer such cases to a Tribunal, but the judges thought this was entirely unnecessary. The big infrastructure case in recent times has been the HS2 challenge. This was as about as complicated a set of challenges as they come. It was heard before the High Court in December 2012, with a 259 page judgment in March 2013 (my post). It had been decided by the Court of Appeal and the Supreme Court by January 2014 (see me and me). In the meanwhile Government had carried on regardless. It is difficult to see how this case could have been done much faster given its complexity, and its importance to objectors and Government alike. In not every case will the developer risk proceeding regardless if his consent is under challenge, but in my experience the courts have been sympathetic to a developer’s applications to speed things up – a wind farm challenge in which I was involved got from the beginning of proceedings to judgment in under 6 months. Things have not always been this way, but in the past this was due to lack of judicial manpower (ultimately down to MoJ)- and invidious choices facing the courts – do you expedite an immigration deportation case or one about a wind farm? So far, therefore, nothing new in these proposals. This question arises because, for some odd historical reason, challenges to Inspectors’ decisions on planning appeals are dealt with differently to challenges to local planning authorities. Certainly not the courts’ fault, because the Act under which this is done (section 288 TCPA) compels this, and people, notably the judges, have long sought to persuade the government to do things better. This change is to be welcomed. It brings all challenges into line with each other, and stops the anomaly that a s.288 challenge did not need permission and could thus rumble on to hearing, however unmeritorious it may be, whereas all other challenges required permission from the court to proceed. Quite often a court will be faced with a decision which is to some degree unlawful but where it seems unlikely that had government done things properly it would have made a difference to the result. A typical example might be a partial consultation exercise, with inadequate times for response. Another might be inadequate investigation of some tiny area of habitat in a planning case. This gives rise to a genuine dilemma. Does the court stop the project and tell the authority to get it right next time? Or does the court pragmatically dismiss the challenge? Up to now the courts have been wary about the latter, saying that it must be shown that it is inevitable that the defect made no difference to the decision. That has not stopped them, every day of the week, making robust findings along these lines. in the absence of unlawfulness. There is of course a difference between “inevitable” and “highly likely”, but I wonder whether this will matter in the real world. That said, conceptually it is surely wrong for a judge to take a decision for the public authority which might have been different- that is not the judges’ job under our division of responsibilities between authorities and the courts. It is also the job of authorities to behave lawfully, and it would be unfortunate if this reform encourage more slipshod decision-making. More odd is the wording “the outcome for the applicant”; it is not obvious why this does not read “the decision would not have been substantially different”. I hope the real intent gets flushed out of the Government during the parliamentary process, because it might be a sneaky way of drafting back some consideration of the true interest of the applicant (i.e. a type of standing issue) which has otherwise departed these proposals. The proposed wording makes sense but only if the decision is specifically addressed at the applicant, unlike in many judicial reviews. My own view is that this change, if implemented, may well be counter-productive. Defendants will be encouraged to take more such points, whether at permission or at the final hearing. Things will take longer and cost more. Grayling is rather phlegmatic about these risks in his response; the cynic would say that he does not really care, as more costs would deter claimants. Clause 51 would require challengers to provide details of any funding (including third party funding) which they may have to meet any costs liabilities, which may be used when deciding what to do about costs if the defendant wins. The details are to be set out in court rules, so one cannot tell whether this will be an onerous obligation. The clause is designed to deal with the case (which can give rise to potential injustice) in which it is entirely unclear how, say, a company set up solely for the purpose of the claim is to be funded, and the defendant suspects that there will be no money to meet any costs order which the defendant may obtain if it wins. The defendant also suspects that there is a Mr Big who lies behind this. Sounds all very reasonable, doesn’t it? Until you think about the fact that no other litigant has to give this information when he starts proceedings, unless on a no-win no fee and/or the liability is covered by insurance. So the most shady individual or company can bring a commercial claim (against government or a private body) without setting out its assets or its funding for the litigation. If the proposal were to make this obligation a uniform and non-onerous one, one might be inclined to be a little more sympathetic to it. But because the obligation is to be limited to those wanting to challenge government or public authorities, one suspects an ulterior motive – to stifle these claims. Think of the reality. A group of local people get an adverse decision about a wind farm. They have only 6 weeks to challenge it in a planning case, thanks to another recent Grayling reform. They quickly get a little bit of money together to pay for their lawyers, and try and persuade others to underwrite liabilities. People might be willing to come up with £100 but might not wish to be named in such a way that might expose them to some slice of the costs liabilities incurred by the group. Clauses 54 and 55 deal with cost-capping orders (a.k.a Protective Costs Orders or PCOs), for which see here or here. Under these proposals, orders will not be made before permission is granted: cl.54(3), thus opening up claimants to “gaming” defendants and interested parties (think wind farmers) who spend a lot of money resisting permission. However, environmental litigators may not have to worry, because there are recent provisions in amended Civil Procedure Rules for environmental challenges under the Aarhus Convention (see my post), with the upshot that a claimant is limited to £5,000 costs or £10,000 if a company. Indeed one hopes that clause 51 obligations about information will be limited given that an environmental campaigner’s liabilities in an Aarhus case will be no more than £5,000. Hence clause 56 which gives Grayling the power to make regulations which disapply the PCO parts of this Bill in Aarhus cases. The weaselly two bits of the clause are that this applies to claims where “in the Lord Chancellor’s opinion” the claim has an issue “relating entirely or partly to the environment“. The current rules are perfectly sensible; the claimant ticks the Aarhus box on the form and it is for the defendant to say otherwise, with onerous terms on costs if the defendant unnecessarily disputes it. But the Bill seems to want to give this decision-making process to Grayling, rather than the courts. This may not be wise if Grayling’s opinion threatens to cut across the Aarhus rules. A great chunk of Aarhus cases involve EU issues which end up in the EU courts (see, e.g. here), and which led to the current CPR rules in the first place. One might be more sympathetic about this clause if it made it clear that any regulations made by Grayling had to comply with the Aarhus Convention. But then that would, in these rather xenophobic days, involve reference to something not true-blue, British and rosbif-eating. But not so doing risks another minuet with the various institutions enforcing the Convention, including notably the EU Courts: in which case, more of this, then. 47. The consultation sought views on introducing a principle that the costs of an oral permission hearing should usually be recoverable and that it should be possible for an unsuccessful claimant to be ordered to pay the defendant’s reasonable costs of defending the unsuccessful application. The Government intends to revise these rules so that such awards are routine, but this will still be subject to the court’s general discretion on costs. At the moment, the costs of seeking an oral hearing are rightly limited to relatively modest sums under rules set by a case called Mount Cook. The permission hearing is all about the knock-out blow, and the original idea was that defendants should not attend – they have put their objections in writing, and they either knock out or they do not. If they want to attend, it is at their expense. The Government wants to change this, though the courts will be resistant to over-complication at the permission stage. Er, in terms of the Bill, that’s it for planning and environmental challenges. 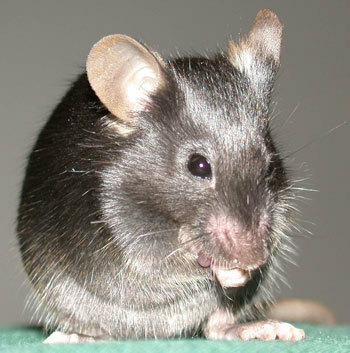 The Roman poet Horace wrote a beautiful line – Parturient montes, nascetur ridiculus mus – or, for those who do not have the latin, “The mountains laboured, but what is born … is a ridiculous mouse”. These proposals do not quite fit into this category, but they fall well short of those presaged by the strong rhetoric in last year’s consultation paper. The only real concern is that the permission stage becomes longer, more expensive and thus a deterrent to environmental challenges – presumably Government’s intent – but as long as the Aarhus environmental £5,000 cap cuts in at the beginning as it does at the moment, and remains in place throughout proceedings, things could be a lot worse. And the devil will be in the detailed costs rules, not in this Bill. Why the animus against NIMBY claimants? They are trying to defend their homes and not always just for financial reasons. The real problems are SOBBY – who agrees that whatever is involved should be built but in Some Other Bugger’s Back Yard – and BANANA – Build Absolutely Nothing Anywhere Near Anyone!